Raiding The Rock Vault | Rocking the Hard Rock Hotel Las Vegas | Tickets on Sale for Raiding the Rock Vault at the LVH Hotel in Las Vegas! 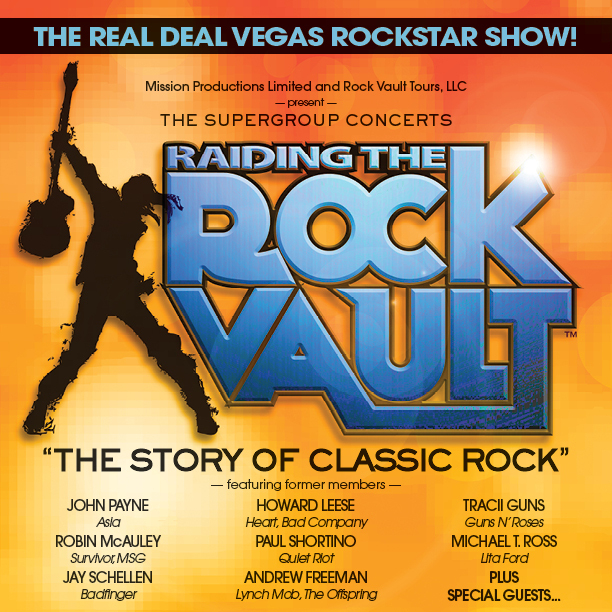 Tickets on Sale for Raiding the Rock Vault at the LVH Hotel in Las Vegas! The history of rock ‘n’ roll will come to life like never before when “RAIDING THE ROCK VAULT,” a one-of-a-kindrock concert experience boasting the ultimate set list, kicks off a year-long runSaturday, March 9th at the LVH – Las Vegas Hotel & Casino. Tickets for “RAIDING THE ROCK VAULT” go on sale Saturday, February 9th at 10am.